I feel privileged to have been part of the show, even though my pitch was not fully featured in the final edit. I left the Den smiling and pleased for having the chance to meet the Dragons. My only regret was not being able to build an attractive prototype and to put-up a real show for the Dragons. I felt it was just a halfhearted effort on my side. My presence on the aired show was more of a honorable mention (I am one minute on TV), but I have to admit that my role was minor compared to what others accomplished in the Den. Some got out of the Den with real money, some got out in tears but leaving behind a memorable piece of television. – So tell me, George, what would prevent me to buy a board just like yours from Canadian Tire, dig a hole in it and play your game? – For the same reason you’re still buying Coca Cola. Dragons (smiling, surprised): – What? What do you mean? – I mean for the same reason you’re still buying Coca Cola rather than mixing some tap water with sugar. Because it’s a great product. Give me the money and I’ll build a great product you will buy. Dragons (teasing Kevin): – He has a point. He’s a smart one, Kevin. the pre-selection interviews are very important and may take one day each. Expect long waits in the CBC building lobby. it is true that you only get a few minutes with the Dragons. But once you are selected for the show, you get hours of materials from the producers, to inspire from. This includes past shows posted online, documents that are emailed to you, suggestions over the phone and many others. this is a pre-recorded show. Being shot with the Dragons does not guarantee that you make it on TV. You sign a release form where the producer does not guarantee that being filmed automated means that you are on TV. if you are selected to be part of an aired episode, CBC will let you know well in advance, so you can relay the good news appropriately. You will also get prepared on how to deliver this valuable information to mainstream media, family, friends, social media. on the shooting day you will wait in a comfortable room in the CBC location, with treats (sweets and water) and people always on hand to answer your questions. You will memorize the standard introduction of the pitch. You will negotiate the best approach with your assigned producer. You are not alone and you will be encouraged to HAVE FUN. I know I had. I studied the Dragons beforehand and I decided the two to invite to test my game. Arlene – she is the only woman. Robert – he is the son of immigrants, and values courageous immigrants (I am a first-generation immigrant myself). if you make it on the air, CBC will not send you the full-length shooting of you in the Den. You’ll have to archive what’s on TV. In my case, one minute of the 5 I spent in the Den. I know all of you have big ideas in the drawer. 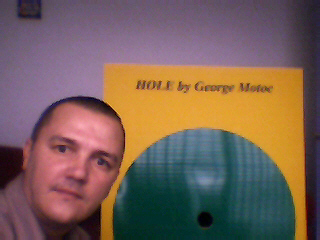 If George Motoc, a humble Eastern Europe immigrant, made it on Canadian national television with his idea, YOU CAN, TOO. 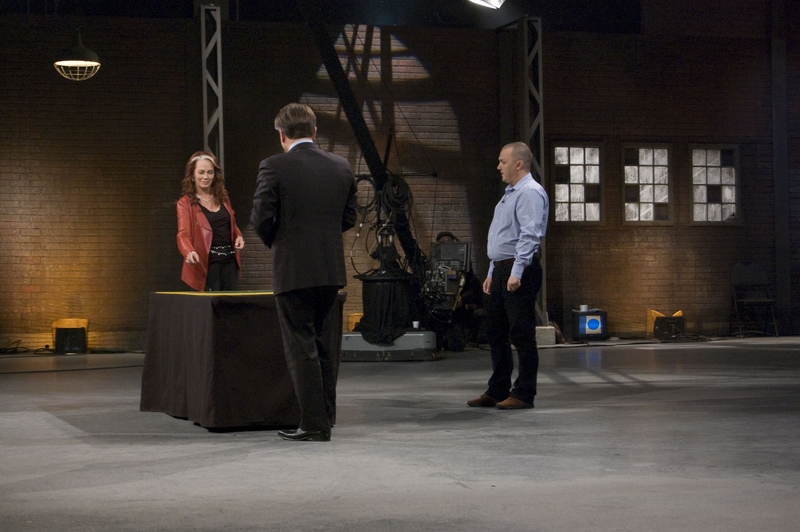 Please apply now for the next season in Dragons Den! Posted in English blog and tagged as Arlene Dickinson, CBC, dragons den, George Motoc, Hole, Kevin O'Leary, Robert Herjavic, show, television, tips. Chiar te rog! Dar se pare ca voi fi plecat in vacanta in 7 ianuarie. There were many many messages I got following the airing of the show. I want to thank everybody that sent nice words or just stopped me and congratulated. Congratulations on the appearance! I watched it last night, and thought that you represented yourself and your idea very well. I have a lot of respect for you for being able to open yourself up like that on national television, in front of a group of brutal business people like those, and am impressed that you looked calm while doing it. I had it written on my calendar that you were on tonite – congrats anyway for getting that far. They were brutal tonite!